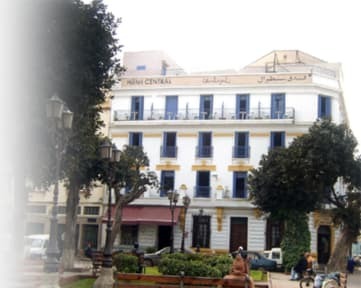 Located in the heart of the Medina, minutes away from the Hassan II mosque and the train station, the new renovated Htel Central guarantees a unique and relaxing atmosphere amidst the hustle and bustle of Casablanca. Htel Central has 36 rooms all equipped with bathroom, satellite TV, phone and WI-FI. All our rooms are decorated in the traditional Moroccan style combining comfort and authenticity. We offer our customers a wide range of quality fare in our restaurant and coffee shop. 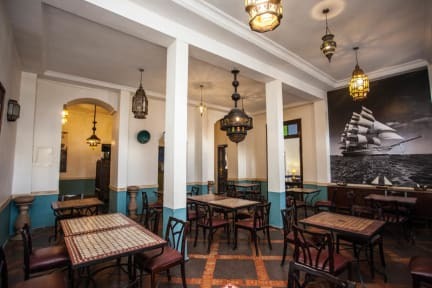 Enjoy our panoramic roof-terrace overlooking the Medina, the harbour and the Hassan II Mosque. The tourist tax is 8.00 MAD per person are not included in the price.